Mozilla is planning to provide a new feature that will allow free audio and video calls between its Firefox web browser, thereby ending the need of any third-party client service or plugin. “No plugins, no downloads. If you have a browser, a camera and a mic, you'll be able to make audio and video calls to anyone else with an enabled browser.” reads the blog post and when the camera or microphone are running, this is clearly shown by the Firefox user interface. Mozilla also warned its users that they shouldn't expect a complete and polished service quite yet, as Firefox said it is too early to expect anything yet, but it will bring an eventual result to all its users, regardless of operating system or device. TokBox is a PaaS (Platform as a Service) company that provides hosted infrastructure, APIs and tools required to deliver enterprise-grade WebRTC capabilities. It does so primarily through its proprietary OpenTok video platform for commercial application. 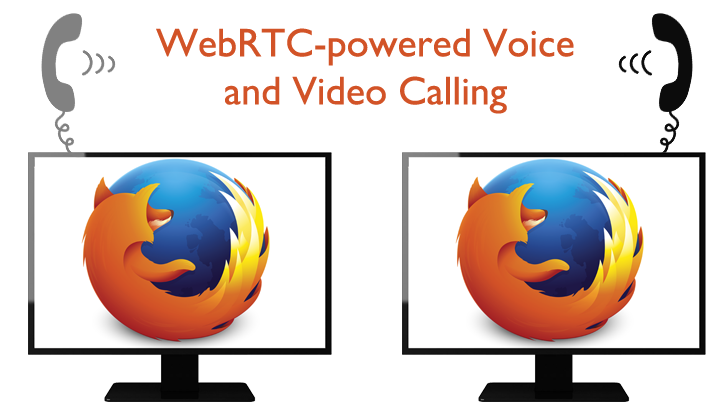 “Their early support and contributions to WebRTC are helping this emerging standard establish a foothold and earn developer attention,” said Chad Weiner, Director of Product Management, Firefox. VoIP offers a substantial cost savings over traditional long distance telephone calls and if an open source, trusted service like Mozilla Firefox is providing this additional feature to its users, then this is a great news for all of us. Stay Tuned to The Hacker News! We will update you when Mozilla will release its new Firefox Nightly version.